I got my first two games with the new Necron Codex last week and I got thoroughly crushed in both games. I played against Sisters of Battle and Imperial Guard. With not having any of my new kits built, I just used all my old models. I was beaten so badly that there really is nothing to report. Necrons are not the same army they used to be, nor will they play like it. If you play them that way, you will be crushed. Finding the secret to playing them will require some out-of-the-box thinking and some new tactics. 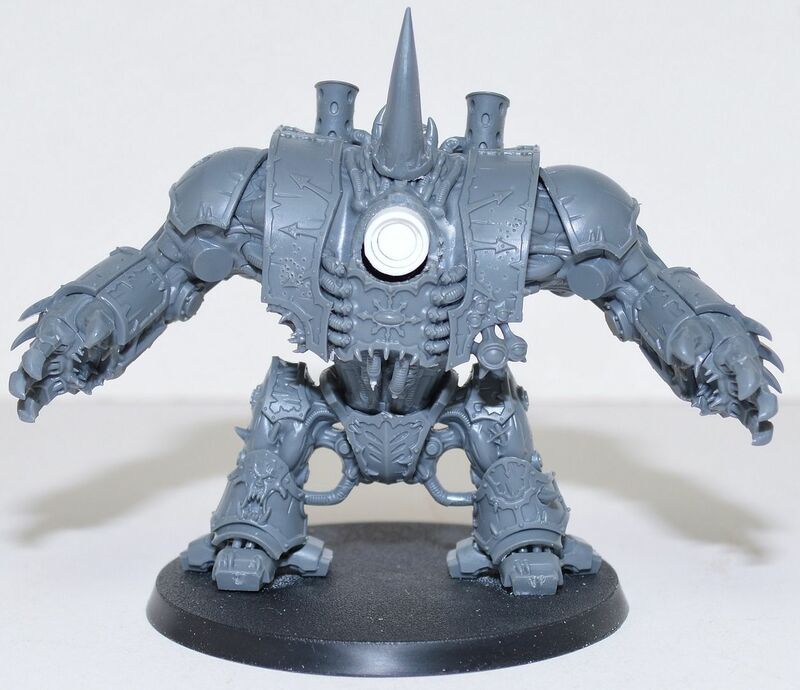 I have been reading through the codex over and over, and browsing the Internet, looking for ideas on how to play them. I have gotten all my new kits built this weekend which includes an Overlord, Doomsday Arc, Annihilation Barge, Command Barge, 5 Lychguard, and 5 Immortals with Tesla Carbines. I am going to try to get some more games in this week to try this new stuff out and see if I can discover the secrets of playing them. I picked up the new Necron codex last night, along with a few of the new models, and I have unpacked my Necrons for the first time in two years. 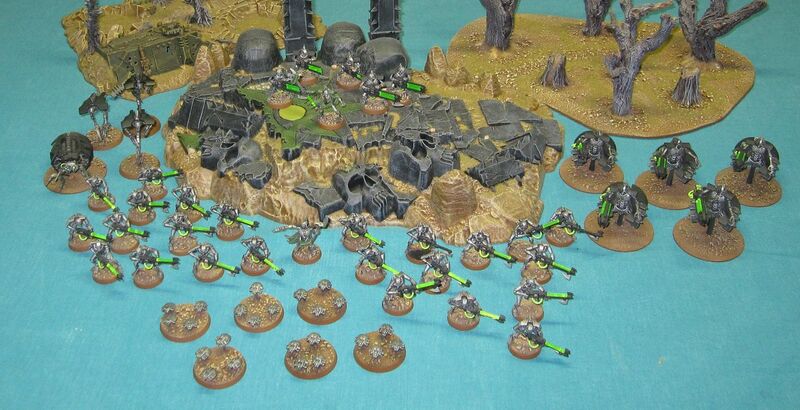 In fact, I believe this is the first time my Necrons have ever appeared on my blog. This is not my entire army, just what I have painted. I have been quite busy lately and have not had any time for gaming, but I have two games scheduled for tonight where I will get to try out the new codex. I am pretty excited. I will be sure to post the results of the games.